Our hotel’s name goes right back to a family by the name of Kocks, which – for nearly two centuries – lived and manufactured ropes in Mülheim. The former administration building of the factory was then transformed into a 4-star hotel by the Pfeifer family in 2009 and is family owned and operated ever since. The company was first mentioned in the city archives in 1810, as a handcraft business for hemp spinning and rope making. As of 1840, Kocks also produced wire ropes in addition to the hemp products, which were invented by the “Oberbergrat Albert” in 1834. In the following decades, Kocks steadily expanded their business with the wire ropes. Main customers were the steadily growing mining industry and the busy shipping industry of the fast-growing and industrial Ruhr area where the Hotel KOCKS is located today. As of 1900, Kocks abandoned the laborious production of the ropes by hand and implemented new machine technology instead. Therefore, a new production facility with modern machines was opened in 1905 at the Cäcilien-Street in Mülheim-Broich. In 1923, Gustav Kocks transformed the successful company in to a joint-stock company. Simultaneously Dr. Walter Voss joined the corporation. After the death of Gustav Kocks in 1940, Dr. Walter Voss took over the responsibility to be the main entrepreneur until 1971. Early on, Kocks’ central idea was to win consumers in need of high quality ropes and to extend the offer with technical advice and complementing services. Marketing and internationalization of the business in particular were promoted after the second World War. Kocks went on to register the brand “DRAKO” (Drahtseilerei Kocks) as an international trademark in 1933, which up until today enjoys an excellent global reputation. With technical advancements, Kocks continued to succeed and impress in the 20th century. Whether it were 12.000 m long deep-sea ropes for research vessels (Meteor), the first nine-lane full-steel hoist rope for high lifting heights, technically demanding hoisting ropes for multi-reef conveyor systems in the mining industry, non-rotating hoisting ropes for shaft excavations and highly stressed eight-lane drilling ropes for international oil and gas exploration (In the 1930s Kocks is the only european rope factory with the API license of the American Petroleum Institute). In the late 20. Century, Kocks was often at the forefront of the industry in introducing new organization tools, which – besides the modern collection of machines – guarantee a steady quality of products. Computer controlled optimization of cable cross sections and constructions, computer supported evaluation of test results for wires and ropes or early ISO-certifications, just to name a few. After the loss of almost the entire domestic mining industry and the corresponding decrease in need for mining ropes in 1960, Kocks established itself as the leading manufacturer for elevator ropes. Furthermore, Kocks is nowadays expanding their international mining business again. Kocks was sold to the Luxembourg steel company ARBED at the end of 1968, primarily to secure the material demand. Despite extensive grants by the German government of approximately 3 billion Deutsch-Mark, ARBED failed to rehabilitate the acquired steel industry of Saarland during the 70s. Therefore, the government of Germany and the state of Saarland pressured ARBED to give up the acquired shares in favor of the Saarstahl AG. In the early 80s Kocks became a subsidiary of the TechnoSaarstahl GmbH. The deficient Saarstahl Group then went bankrupt in 1993 and the responsible trustee decided to sell Kocks. The internationally renowned PFEIFER group from Memmingen in the Bavarian Allgau acquired Kocks in November 1994. The PFEIFER group with its Kocks brand is constantly developing as a supplier of high quality ropes, slings and hoists, as well as products for the concrete industry and a project business in building and construction with ropes. Today the group is operating in 18 countries with 26 companies. In the early fifties, Kocks acquired an attractive property at the Mühlenberg in Mülheim. In 1953 a representative administration building was built on that property. 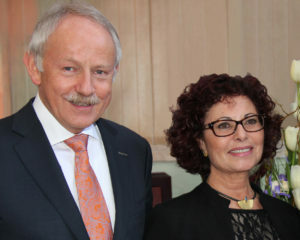 With the internationalization and the acquisition by PFEIFER, Kocks sales were booming at the beginning of the 21st century. The Kocks production therefore reached its capacity limit. As a result, Kocks took over the former Clark property at the Rheinstraße in Mülheim in 2007 as an additional production location. The administration also found its place there. The relocation of the administration marked the birth of Hotel KOCKS. Gerhard Pfeifer, Executive Partner of the PFEIFER Group, decided to transform the 50-year-old Kocks administration building at the Mühlenberg into a hotel. The characteristic architecture of the building and its excellent location were essential criteria in the decision making. 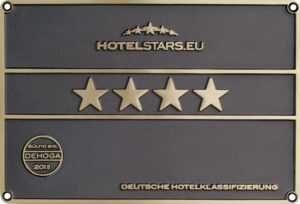 In May 2008, the conversion of the building into a 4-star hotel complex began. In addition to the coziness, ambiance and a feel-good character, the functionality of the rooms was given high priority. Clean lines, warm colors and selected materials built the foundation for the identity of the future hotel. Different design elements build upon the existing structure and keep the history of the house alive. 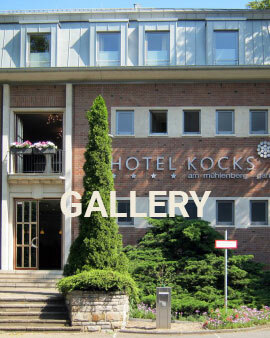 In June 2009 the HOTEL KOCKS was opened with 39 rooms at the Mühlenberg.